1 hour private golf lessons using Track Man technology with Aaron Ressler, a PGA professional. Featuring the best in teaching technology using the Trackman ball flight & swing analysis system. Try our new golf simulator - 76 golf courses to play for fun by yourself or as a group. Take the ASA Advantage with this ASA Oil Change Certificate valued at $50! At ASA we pride ourselves on working hard to earn our reputation & servicing our customers. It’s important to us to build relationships with our customers & in the communities in which we serve. Our knowledgeable staff from service, sales or financing are here to help advise you whatever your needs are. Experience the friendly, dependable way car service should always be. 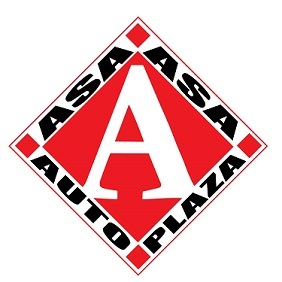 Shop local –Shop ASA Auto Plaza , your family owned Austin Chevy, Buick, GMC dealer. Pizza Ranch has all your favorites. Pizza, will make any pizza you request, country's best chicken, our signature cactus bread and great salad bar. Host your next event in our community room that seats up to 66. Certificate may be used on dine in or take out. One certificate per visit, per person. Up to 5 qts synthetic blend oil, standard filter, chassis lubrication, tire rotation (if necessary), and FREE car wash. Highly skilled ASE certified technicians that work on all makes and models. 100% satisfaction guaranteed. Wangen Automotive located at 1009 8th Ave SE, Austin. One time use, no cash value, by appointment only, cannot be combined with other offers. Highly skilled ASE certified technicians that work on all makes and models. 100% satisfaction guaranteed. Wangen Automotive located at 1009 8th Ave SE, Austin.